OKB Vympel R-77 (AA-12 'Adder') MRAAMs on the underwing pylons and R-73/74 (AA-11 'Archer') SRAAMs on the wingtips. They don't have the black banding characteristic of training rounds, but as the R-73s seem to have painted-over sensor windows, I'm assuming that's what they are. And I agree with Trident, beautiful images; thanks for posting them up. They really give you an idea of the sheer size of the Flanker. Purely out of interest, where did you find this set? Last edited by CommanderJB; 4th April 2009, 12:23. Where did you find this set? Ah, my thanks. Interesting that 902 seems to have been repainted with a slightly different scheme specially for the Review since that second set of photos, which were taken late last year, whereas 901 apparently has not (though the nosecone does seem to have a new coat since pictures posted a few months back, in which the paint had begun peeling off, I would guess as a result of the speed and altitude testing they were doing at the time). Last edited by CommanderJB; 4th April 2009, 12:40. Thank you very much for the pictures, Otaku! They are absolutaly wonderful! And thank you too, Twisted & CommanderJB! The second pictures look beautiful, with the SU, the ground beneath it, the heat haze(s) from the engines. Very nice! This one gives a much better look at the mystery pod on Su-34 'Red 03'. It's obviously much too small to be a military payload and has no camera window, so it certainly looks like you were right on the money Ken. Then there are these two of Ka-52 '061 Yellow' and '062 Yellow' respectively. I have a few of queries about these, if people are willing to answer them; firstly, 61 appears to have only a steerable optical sensor turret as opposed to an optical turret and smaller subsidiary turret that I would guess is for targeting equipment, what I believe are DIRCM balls, and, given that the former is less recessed than before, looks like it has enough room for a radar in the nose as well. Given the rather greater feature set on the latter, is this going to become the production version, with the set on 061 merely being a developmental version? Secondly, what is the flat box with two circular panels in it semi-recessed under the tail area - some kind of MAWS or LWR unit, perhaps? And lastly, what is the missile complex in use here? It certainly doesn't look like the Vikhr classically associated with the type, but nor does it look like the Ataka-V which I believed was its primary competitor. It's not a Khrizantema, is it? What's the thing in the blue circle? 061 Yellow has it too. What are the things in the red circles? 061 Yellow doesn't have these. Secondly, what is the flat box with two circular panels in it semi-recessed under the tail area - some kind of MAWS or LWR unit, perhaps? Doppler navigation system, I believe. The same box is found on other Russian helos as well. 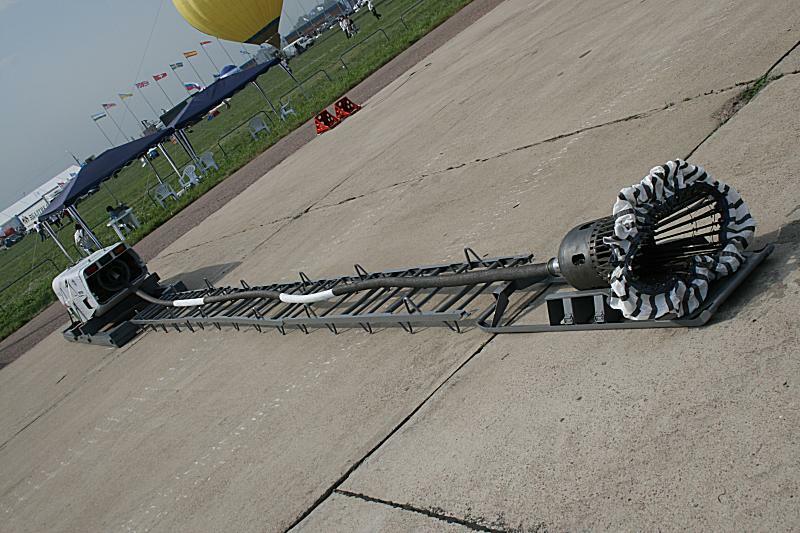 Nevertheless, the Ka-50/52 is fitted with an LWR (two sensors fore and aft, they're tiny and hard to see though) and has at least provisions for a MAWS (4 circular sensors fore/aft, left and right in each case). Good question, I have no idea. Could be any of the following, IMHO: RWR, ECM or missile datalink. Thanks Trident, you confirmed my suspicions re: the DIRCM turrets. Still curious about the antenna in the blue circle - I haven't seen that on Ka-52s before (or just haven't noticed it). Airbrake is gone, wonder if that's "max brakes" or if they can also do a F-22 like spread. @ mystery pod: Dummy for buddy-buddy pod? @ blue circle: data link, I'd say. @ red circle: No DIRCM - wrong position. And why two? I'd say it's some bistatic optical sensor. I doubt it - they already have a buddy.buddy pod - the UPAZ pod fitted to the Il-78 tanker and used in the buddy-buddy role on the Su-24 and Su-33. 1 ) What is the percentage of composite ( by surface area and by weight ) does Su-35BM use ? 2 ) Can Su-35BM supercruise with useful load ? 3 ) Does RuAF intend to buy these new aircraft ? Yes, they have said this a thousand times. Sukhoi is also expecting the deal to be finalized soon. That nose winglet seems to be a AoA sensor. What kind of toy would need that? AoA input could be of some value when unrolling a hose. Hmm... A bistatic optical sensor for what exactly? EDIT: If it is a DIRCM system it might have two emitters in order to cover both sides of the aircraft properly. Just a guess. You did conveniently leave out the part about the new equipment procurement budget not being cut right? Scootfail at its best. All times are GMT. This page was generated at 17:50.